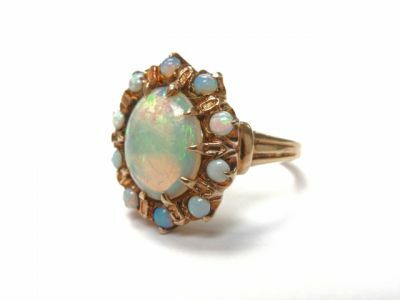 A beautiful 10kt yellow gold estate ring, featuring 1 claw-set oval cabochon green and slight bluish opal, approx. 2.05ct and 10 claw-set round cabochon blue and slight greenish-red opals, approx. 0.38ct. 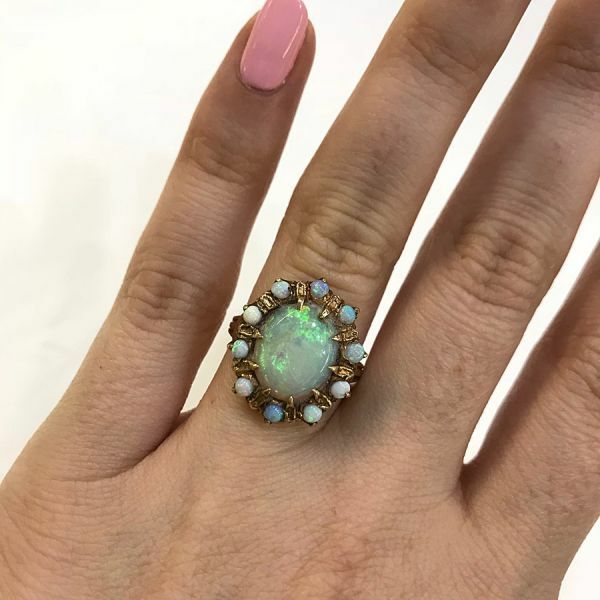 As with all opals, vigilent care is required to avoid striking them on a hard surface or coming in contact with abrasive materials or chemicals, including aerosol sprays.